For community access TV stations and others who might wish to download our new movie and broadcast it—other distributors and venues as well. You can now download the movie at no charge thru PEG Media. (However, you must be registered.) Please consider forwarding this to your local station. 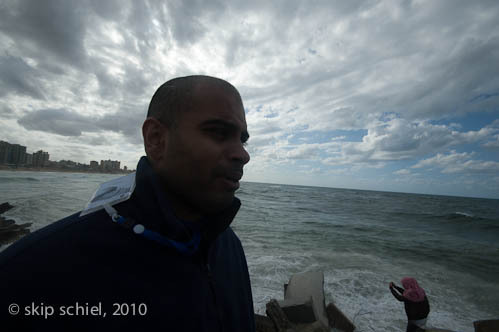 In Eyewitness Gaza, Skip conveys his personal observations on events in Gaza, the complexities and consequences of action and reaction at the military and governmental level and its affects on real people. The video graphically depicts the emotional as well as physical affects of violence and offers hope in statements from young people about their commitment to non-violence. Sadly, it also describes how opponents of a peaceful approach discourage such actions. It is a compelling insight into the situation in Gaza. Eyewitness Gaza shows an accurate view of current life in Gaza, through the lens of photographer Skip Schiel. His photographs and reflections on many trips to Gaza show the unique position Gazans are in: under siege, under occupation, constantly threatened by attacks from Israel and their own political factions, with little awareness or concern by the rest of the world. 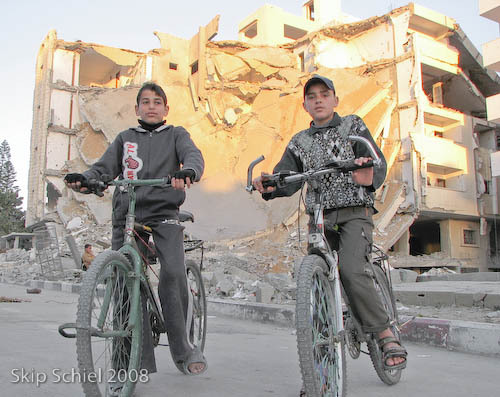 Central to “Eyewitness Gaza” are Gazan youth. How do they survive a siege and marginalizing by the world community? Through events in Palestine such as the Gaza Youth Break Out movement, and to the most recent manifestations of violent and nonviolent transformation of “Arab Spring”, Schiel and his camera chronicle a community trying to rebuild itself. PegMedia.org is a media transfer site for PEG (Public, Education, Government) community television stations and producers of media for these stations. This site is an easy way for producers to make their programming known and available to many stations simultaneously and, at the same time, to give stations a wide variety of programming from which to choose. The stations who use PegMedia for content cover tens of millions of cabled homes and represent more than 50% of the total cable viewership in the US, giving producers a very large potential audience. We welcome producers who are PEG stations, independent producers, musicians, and documentary and film makers, in a wide variety of genre.